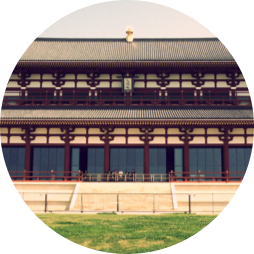 This course allows you to travel around the Nara Palace Site, the political center in the Nara period. 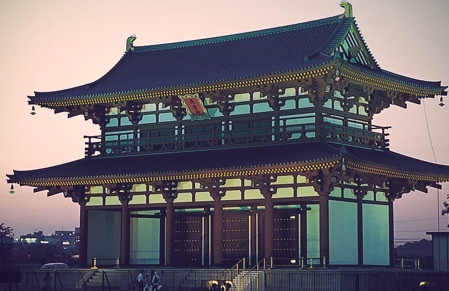 High points of the trip are the Museum, where strips of wood and other artifacts excavated from the site are exhibited, as well as the rebuilt Suzaku Gate. 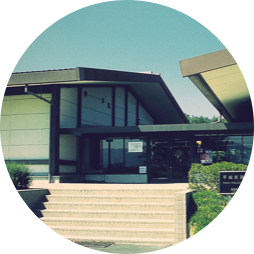 In this facility, the outcomes of the excavation surveys for the Nara Palace and its site conducted annually by the Nara National Research Institute for Cultural Properties from 1959 are exhibited. The government office and the inside of the Palace of that time are reproduced on a full scale. Together with excavated artifacts, how people of the ancient capital Nara lived is explained in an easy-to-understand manner. 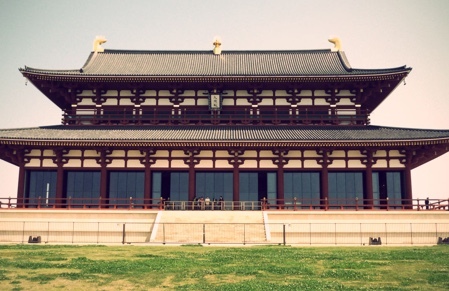 The Imperial Audience Hall was the key central of the Nara Palace used for important ceremonies of the nation, such as the coronation of an emperor. The Former Imperial Audience Hall restored to its original state has a lot to offer, including Takamikura or the throne where the emperor sits, and the colorfully-painted walls between the ceiling and the lintel. 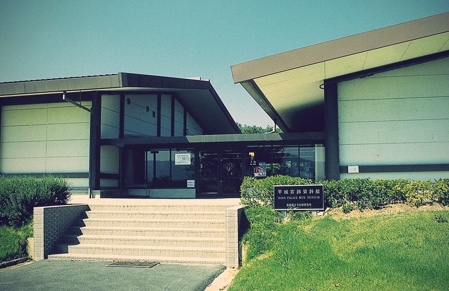 In this facility, the government office remains of the Nara period found during the excavation survey are preserved and exhibited just as they were discovered. In addition to impressive “Exposed Display of Relics,” unveiled well sites, precious artifacts such as wooden tubs, and building models reproduced based on the research and study are also exhibited. 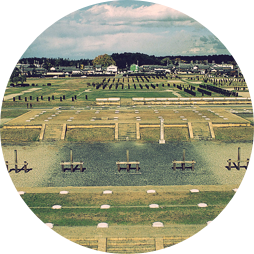 The East Palace Garden was used as a diplomatic venue, and parties were held there. 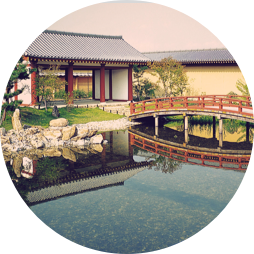 The indented shoreline shows us an elegant garden style in the Nara period. 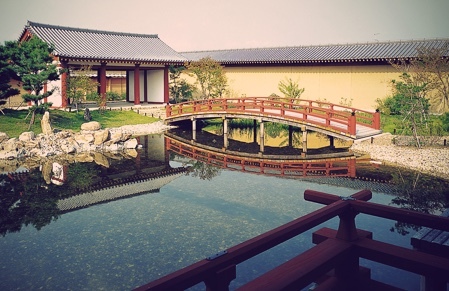 This is one of the important sites, being regarded as the original form of the Japanese garden in the Heian period and thereafter, which focuses on the natural scenery. In front of the Suzaku Gate, ceremonies were conducted on New Year’s Day and for welcoming or farewelling foreign envoys. 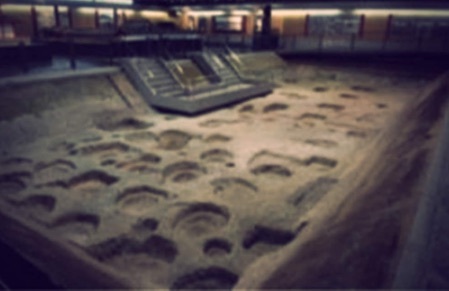 In addition, ancient men and women exchanged their love songs there, calling it utagaki. The magnificent gate has an air of dignity as the front gate of the Palace. It is convenient to ride a bicycle for traveling around the scattered temples and shrines or finding some hidden café located in a row of old town houses. “After experiencing the romantic atmosphere of ancient times at the Nara Palace Site, why don’t you become an aristocrat of the capital Nara called Tempyo people? You can rent Tempyo-style costumes at the official shop produced by the Nara Palace Site Tempyo Festival Executive Committee operating the “Nara Palace Site Tempyo Festival” at its historic site. 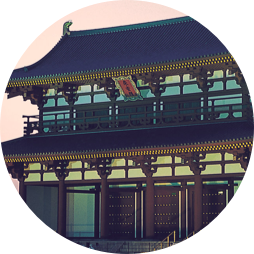 Founded on the desire of Empress Kōmyo in the early 8th century, safe voyages of Japanese envoy to Tang Dynasty China were prayed for in this old temple. In the Main Hall, a standing statue of glamorous eleven-faced Kannon Bosatsu is placed while in the West Golden Hall, there is a small five-storied pagoda, which conveys the building techniques of the Tempyo period today.